Chobani launched Love This Life to celebrate the brand's relationship with consumers and the significant role healthy food plays in their lives. In May, Chobani launched Love This Life to celebrate the brand’s relationship with consumers and the significant role healthy food plays in their lives. "The premise is that to love this life is to live it naturally," says Peter McGuinness, chief marketing and brand officer, Chobani. Last year, the Greek yogurt brand’s How Matters initiative focused on the importance of how Chobani makes its food and treats communities. This year, the brand has changed things up. "We realized the role we play in consumers’ lives, so we pivoted from how we make our food to how our food makes you feel," he explains. In phase one, Chobani rolled out TV commercials around its core products, featuring "modern American stories," says McGuinness. The videos also launched on social media. Early in June, Chobani released the second installment of Love This Life called Break You Make, promoting its Flip products, which come with a portion of snacks for consumers to mix into the yogurt. "It deserves some time, and you deserve time to take a break," he notes. The brand’s PR agency, Weber Shandwick, fielded research on America’s break-time behaviors, which highlighted the fact that most people don’t take enough breaks. Chobani declared June 3 as national Break You Make day, asking consumers to share #BreakYouMake moments on social for a chance to win free Flip products. To continue excitement around the inaugural celebration, the brand launched a Tumblr page to post Chobani and consumer content. 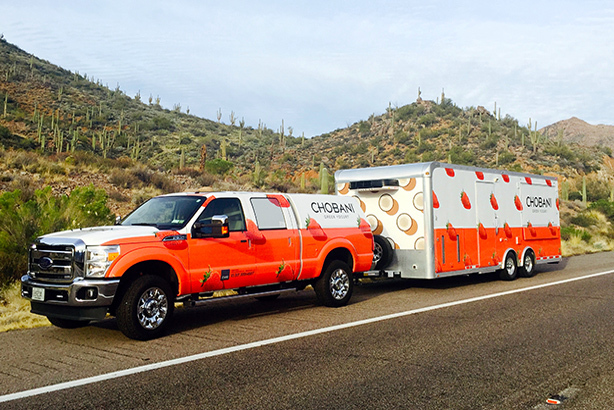 The brand’s CHOmobiles began traveling around the country in June, starting in Charlotte, North Carolina, and Denver, to give free products to people in need of a break, such as firemen, bike messengers, and kids’ soccer teams. In mid-June, the Love This Life campaign extended to target "the thoughtful weight manager who struggles with weight from time to time, but cares about what she eats," says McGuinness. The brand also launched new TV spots and digital assets featuring its Simply 100 light Greek yogurt. Chobani also attended the Food & Wine Classic in Aspen where it teamed up with renowned chef Stephanie Izard to create savory yogurt creations for attendees. Throughout August, Chobani will turn its attention toward back to school by incorporating its Oats products into the campaign. 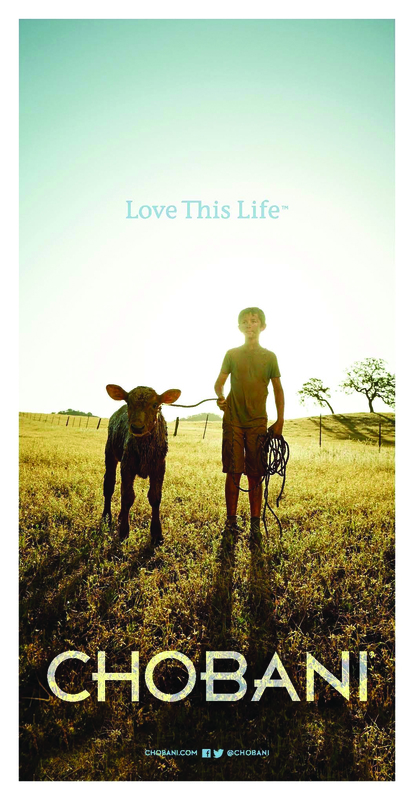 Love This Life ends in September, but McGuinness says Chobani will rally behind its kids and baby products this fall.